Hey everyone! 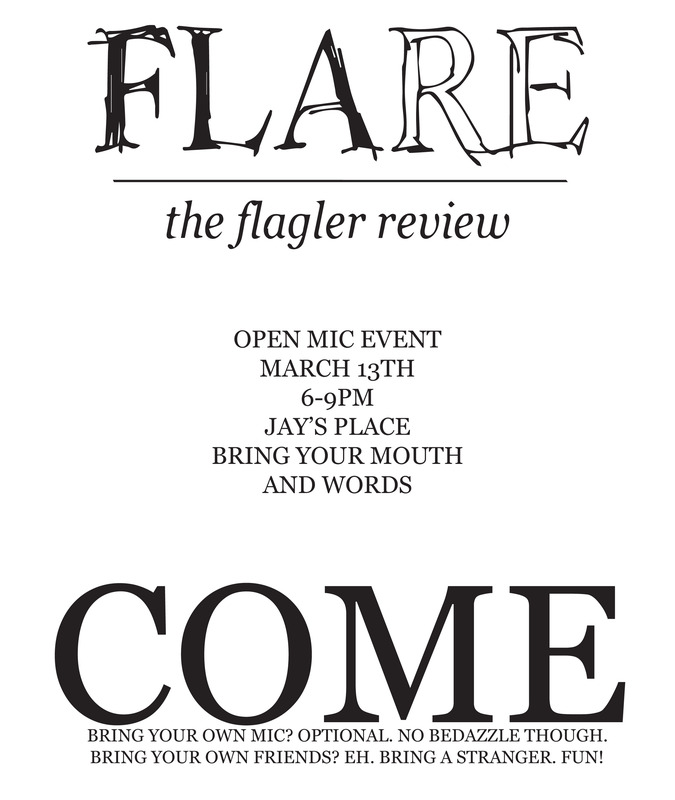 If you are in the St. Augustine area tomorrow evening, March 13, come on out to our first-ever FLARE Open Mic Night at Jay’s Place in the Ringhaver Student Center. Readings start at 6 p.m. and everyone is welcome to participate! There will be brownies and coffee from the Kookaburra as well as delectable food catered by Publix. So come on out and join us for a night of fun!